All is not well in Blackmoor Manor, a Fourteenth Century English mansion haunted by a tragic past. You, as Nancy Drew, embark on your first international adventure to visit Linda Penvellyn, your neighbor`s daughter and newlywed wife of a British diplomat. A mysterious malady keeps Linda hidden behind thick bed curtains. Is she hiding from something or someone, or is a more menacing threat stalking her? Face your fears to find the truth! Dare to Play. Snoop and sleuth for clues. Second Chance feature fixes mistakes. 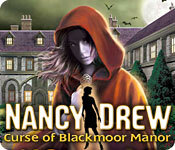 Nancy Drew - Curse of Blackmoor Manor is rated 4.0 out of 5 by 22. Rated 5 out of 5 by SamFee from MY FAVORITE NANCY DREW GAME!!! I love this game and have played it at least 3 times all the way through. It is so much fun. The puzzles are very difficult. The game can get a bit creepy at times. One of my favorite nancy drew games ever. Rated 5 out of 5 by TraeTrae from This is a must have of the Nancy Drew games!! What I love about this game is that there is a creepy feeling to it. It is littered with so many great challenging puzzles. Although there aren't many I love the characters in this one. The story keeps you interested all the way through and like anyone else I love love love secret passages and doorways. Note that this isn't the easiest of the Drew games and the first time I played this it was before I realized that I could easily get help from the internet (I'm so dumb sometimes). I had to take notes and draw diagrams for myself and I used a lot of hints. The mini-games are so much fun. And the information is great. Bonus: Look for the creepy eyes that follow you in certain places. Rated 5 out of 5 by LilaJane from Better with time I purchased this game some time ago, and never finished it because I thought it was too confusing. This time however, I really enjoyed it. I remember getting so frustrated about the ghost hunt. I thought it was impossible to do. This time, I found it was a good idea to ignore the clock at first and search a small part of the house at a time, and when you know all the locations only then mind the clock. The thing i liked about this game is that the back story about the Manor and the family history is so well done. I found the Manor charming. And the people inhabiting it wonderfully creepy! As a tip, you should order everything from the cook, including side dishes, and eat everything! No one will tell you in the game! I thought the puzzles were so well done. I think this game definitely gets better as you play it a couple of times over. Rated 5 out of 5 by niloc031298 from Blackmoor Manor For the best clue hunters: its a hard long and scary mission. There are so many things that will make you jump in this game. Creepy setting, tons of secrets, good progressive plot, odd characters. Rated 5 out of 5 by spenny1 from Welcome to the fun house! I've just replayed this one, and now I remember what a cracker it is. 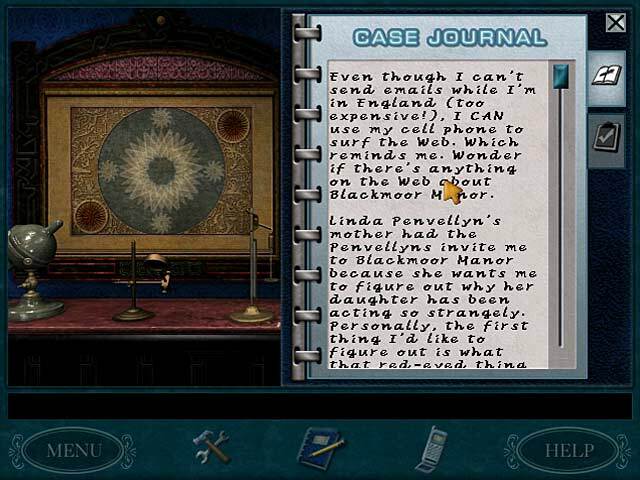 Set in in old English Mansion, this Nancy Drew is packed with puzzles, with clues to be searched out and lore to be discovered. I found myself totally immersed in this even though it was the second time around, although I had left it a fair while since first playing it. I have to admit to needing a hint now and then, as you are without the help of your friends on this one. Loulou can be very helpful, albeit a bit cryptic at times, and somewhat greedy. You really do have to take notes, and I found my artistic skills came in handy from time to time, so I had a couple of sheets of A4 to scribble on. It just makes for more enjoyable game. Although you are still investigating, this one feels more like exploring, and the deeper you get, the more you're drawn in. Artistic license doesn't even begin to cover the Cockney rhyming slang, which was entirely wrong, but I'm more than happy to let that small issue slide with such a fun game. It has a relatively small footprint as you only stay in the manor, but what a manor, the sort I used to dream of exploring as a child. I always thought my prep school might have had secrets like Blackmoor, but alas, I never found them. Thank goodness for Nancy Drew! You will need your thinking cap on, but the clues are all there, just keep speaking to people and trying things out and if in doubt, ask the bird! 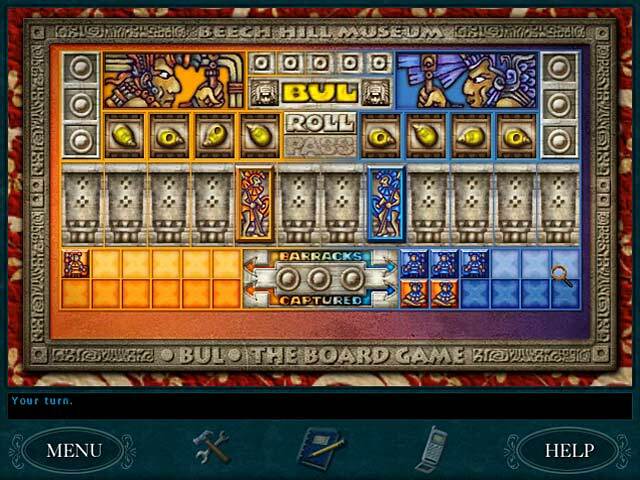 Great Nancy Drew game, good length, great inventive puzzles, and jolly spiffing fun! Rated 5 out of 5 by Brooke_Lyn from What a ride!! Oh My Gosh!! I played as always on Junior Detective without reading a walkthrough. Just dove in and I was finishing things so out of order by the time I did look at the walkthrough it wasn't much help but I really needed it in a few places! It took me 5 days of off and on to finish this game.. I’m no expert but that’s a long time even for me! I've listed myself as an intermediate player but with Nancy Drew I’m still more of a beginner. These games grab you and you just take off! I was so sick of HOS and hearing there aren't any in HER games I tried Alibi In Ashes and was hooked on Nancy Drew immediately! I can’t add much more about the layout, location, graphics etc of the game than anyone else already said.. I did really like the soundtrack on this one and kept it going the entire time. Some are so bad they distract, not this one! It’s the hardest of the 7 I think? ND games I've played (for me anyway# and being an older game I didn't expect it to be harder than Waverly Academy! Some extremely difficult puzzles and a lot of them! I always scroll through walkthroughs before I buy a game to see if it has tons of pictures of puzzles so I know what to expect.. This one didn’t have many pictures so I was hoping not a lot of them, it had more puzzles than I've ever played! 2 of them that about made me quit! The Wind puzzle-Defiantly save and save and save your game!! Target slide puzzle- #I did accidentally trip on a way to win this one without doing it how you’re supposed to) Whew! I enjoyed the characters you do get to talk with and Loulou! By the time I would stop and ask Loulou for a hint, I had already finished it.. Oh well. I’m just so slap happy that I actually finished it right at a point when I was about to give up! This one like a lot of Nancy Drew games obviously has a huge reply value since it ended and I had a pile of notes I wrote of things I had never done? And things on Nancy check list I know never were completed? I will be playing it again someday just not real soon! Long game with a lot to do! After I finish this kind, I’m actually glad it was that hard.. Just not when I’m in the midst of it about to scream! So often you can easily figure out who the "Culprit" is in games. WOW Not a chance I thought it would be who it was!! One issue I had with some timed or quick click games was the cursor taking too long to be ready? If you haven’t played this game yet? Walk into Blackmoor Manor and enjoy your visit! Rated 5 out of 5 by clkleinhans from Best Nancy Drew so Far This is m favorite Nancy Drew Game and the one that got me hooked. The puzzles are challenging and the story is really good. Rated 5 out of 5 by INDIEMAI2 from BRILLIANT I love nancy drew games! It takes me into another world like im actually nancy drew solveing a real mystery in real life, the scenes are breathtaking the charactes are so realistic. Rated 5 out of 5 by Rescue_helo from A difficult investigation, but so immersive and enthralling ! In this 11th release in the series, Nancy is sent to Blackmoor Manor to check on her neighbor's newly wed daughter. Upon arrival she sees red eyes glowing in the night and hears her name being whispered by eerie voices. The creepy atmosphere perpetuates itself inside with stories of curses, witches and werewolves. The game is non linear. You can explore the Manor at will in any order, and interacting with the inhabitants depends on the time of day or night and on specific actions done in certain places. You can set the clock at a chosen time in order to talk to a particular character if you haven't been able to so so before. 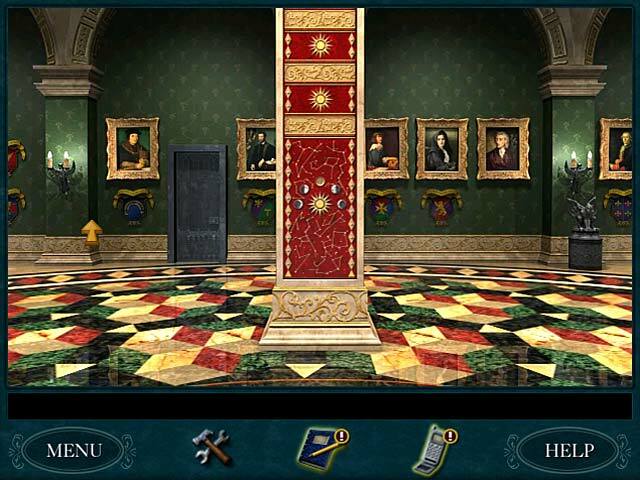 As usual the graphics are extremely well crafted; every room, stairs, corridors, hallway are richly decorated thus making the manor a posh and cozy place to be in... were it not for the enigma and perhaps the latent danger. Observation is a tool you will need to gather clues and information from the characters themselves, as well a books, documents, coats of arms and other different objects. Here again, as it is always the case with Nancy, many puzzles await you. They are diffficult, especially if you play on Senior Level. The challenge culminates with the last puzzle which will delight all veterans but might be quite tough for beginners The voice-acting is superb, with professional changes in tone within one same conversation, and the sound effects perfectly in harmony with the overall creepy atmosphere. Plenty of things to discover, lots of clues to find, many characters to talk to, fun minigames to play, challenging puzzles, a solid and compelling storyline, several surprises, an unexpected ending, all of it wrapped up in a high quality production in which nothing is left to pure chance but is crafted with detail and talent. Who could ask for more ?